« Should You File A Joint Tax Return During Divorce? When a couple has lived together with a pet, or a family has an “extra member of the house”, one or both of the spouses will have some kind of relationship with the animal, and will want pet custody. How do you think pets are handled in a divorce? Will a court award financial support? While that is often included in settlement agreements, financial support for said animal is rarely awarded. When one party gets custody of a pet, the other party no longer has a vested interest and therefore is not going to be ordered to pay any type of support. Historically, the court has rarely awarded some type of financial support in animal custody cases. This is due to the fact that if these payments are ordered, it will force the two parties to stay in continuing contact with each other. Moreover, to enforce this kind of payment would be a waste of time and energy for the courts, in their experience. Remember that pets are legally considered as personal property, and therefore it might be a good idea to include them in a pre-nuptial agreement or postnuptial agreement, to at least save the time it would take to battle for them in court. If you owned the pet yourself prior to the marriage, it could really help in your favor in lieu of a pre/postnuptial agreement. Paul E Rudder, Esq. 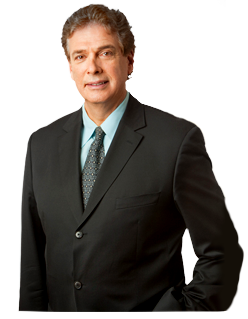 is an experienced divorce attorney based in New York City. If you have questions related to divorce and child custody, call 212-826-9900 to set an appointment. This entry was posted on Wednesday, May 31st, 2017 at 6:00 am and is filed under Divorce. Both comments and pings are currently closed.